One of the hottest issues, therefore biggest ongoing conversation, in gaming today is the Epic Games store and how it’s disrupting the digital gaming marketplace. This disruption is happening through Steam, which has typically been the dominant online store in the PC gaming store. Through directly competing in targeted ways, and throwing around tons of sweet Fortnite cash, the Epic Games store has had an immediate impact on how (and where) gamers purchase new, blockbuster-level ways. And a loud portion of the gaming community is really upset about it. Now, a big part of the Steam vs Epic discourse is whether or not the “Gamers” have legitimate grievances against Epic. So do they? Are the folks opposed to Epic’s growing business just being weirdly anti-competition, or is there more at play here? The most recent fervor over the Epic Games store has stemmed from Borderlands 3. After announcing the game, word got out that Borderlands 3 will be a timed exclusive on the Epic Games store. It will come to Steam at a later date, but a number of fans are upset to the point of review bombing other Borderlands releases on Steam. Accusations levied against Epic Games include the company throwing its money around in ways that negatively impact consumers, and even being a front for Chinese spyware via Tencent, which of course has invested heavily in Epic Games. CEO Tim Sweeney has publicly challenged the latter, and even removed certain stuff from the backend (presented as remnants of early social features) to drive that point home. But what about the other thing? Many folks participating in the conversation have stated that Epic Games is using its infinite coffers to limit consumer options, taking games away from the Steam library sometimes after they were already listed. The way this is being framed is that the Epic Games store, an “inferior” storefront that lacks several features of Steam, is snapping up options for purchases away from consumers, consumers who may have already invested a lot into their Steam libraries. 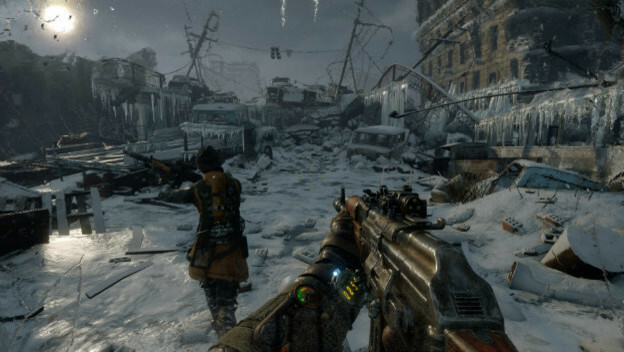 Many gamers are review bombing in response, and games like Metro Exodus have been major targets. Because of the review bombing, many people are calling the fans out for their aggressive behavior. Even though without that “angry gamer” context, these people would be agreeing otherwise. The thing about this, is that the actual thing that’s happening here is capitalism. Epic is truly using its resources to be aggressive towards Valve. That is an actual fact, and the problem here is scale. Epic isn’t just trying to be another option, to be competitive against Steam. Epic is trying to destroy Steam, to push Valve as close to out of business as possible so Epic can be the new juggernaut of game sales. The tactics Epic is using, such as giving publishers a bigger percentage of sales and offering piles of money upfront to get exclusivity, are working. Publishers and developers are biting. Gamers are noticing the problems with capitalism in real time after sort of passively accepting Valve’s previous monopoly-like presence as it was spread out over much more time. 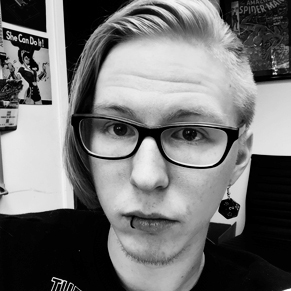 After all, Valve has seen its own controversy, with its issues curating games, getting rid of bad actors, and indie developers finding it harder and harder to get their games seen at all, much less featured. As many others have pointed out recently, at the scale of Valve vs Epic, there’s no such thing as fairness. This isn’t fair, free market competition. The consumers don’t have any power here. It’s two massive, faceless, corporate bodies tossing unimaginable amounts of money around in an attempt to be the winner. And if this goes one way or another, and there is a winner, what happens? Worst case scenario, or best case in the eyes of either company, the loser goes away. Of course, if one goes away, what happens to all the content purchased by customers? Well, they’re SOL, because there’s no such thing as preservation in digital marketplaces. Of course, without yelling about capitalism, the argument focuses on the more face value stuff such as inconveniences over multiple launchers, feature sets, and that vague idea of “fairness,” because gamers want to be able to buy Borderlands 3 on whatever platform they want at launch. When there are giant corporations making things move via venture capital instead of consumer dollars, the consumers get removed from the equation entirely and can only really react to what’s already happening. What do you do about that, when voting with your wallet isn’t a factor anymore? That’s why things like review bombing happen, despite the fact that those practices are harmful and ineffective as well. Having massive, corporate bodies in charge of all the things is a big problem, but it can often be too hard to see why it’s a problem until the roots have already taken hold. Just look at how people have been processing Disney buying up companies like Fox and properties like Marvel and Star Wars. Meanwhile, Valve has been having trouble with its own bloat, and developers were having trouble for a long time with visibility, curation, and user behavior. Now that Epic is on the scene and being super aggressive, super fast, we’re seeing long-running problems in our economic systems play out super quickly and visibly. The fans who are upset are upset for legitimate reasons, even if they’re struggling to conceptualize them. And all they can do is watch as the fight plays out to one several, impactful conclusions.